A weird sciencist lab and an even creepier villain who tried to destroy our town… TWICE! 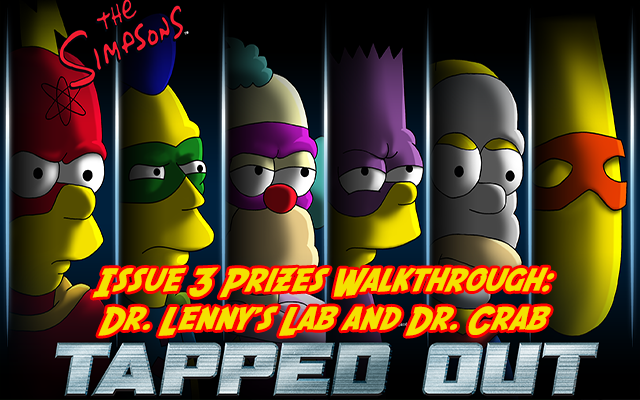 Join us right after the jump for the walkthrough on Dr. Lenny’s Lab and Dr. Crab! Mr. Burns: Smithers, I’m not happy with any of my current abodes. Smithers: Do you need another mansion built sir? Mr. Burns: No no, not just another mansion. All my mansions represent only a part of me, the rich part. Mr. Burns: I need a house that will represent all parts of me, rich, evil, reclusive. Dr. Crab: Looks like I am stuck in zis horrid town. Dr. Crab: I never realized that being a crab would create so much attention. Dr. Crab: Perhaps it iz time to return to looking like ze human, and rediscover Dr. Vladmir Krabokov. Dr. Crab: But zhat will require access to ze uranium, I must find a way to into ze nuclear plant. Dr. Crab: I have located ze stupid one. Now to put my plan into action. Homer: — Ooo a talking crab! Either I’ve fallen asleep in cioppino or the plant’s got a new mascot! Dr. Crab: — um yes! I am ze new nuclear plant mascot! Dr. Crab: Please take me into ze plant so I may do my crazy moves for za verkers. Homer: Wait a minute, bub… first I want a hug! Lenny: Wow that mascot was great! Carl: I never knew a dancing, singing crab was what I needed to make me feel better about my job and my life! Lenny: Hey, anybody see some uranium laying around? Dr. Crab: Hmm, ze workers really seem to like ze mascot act. 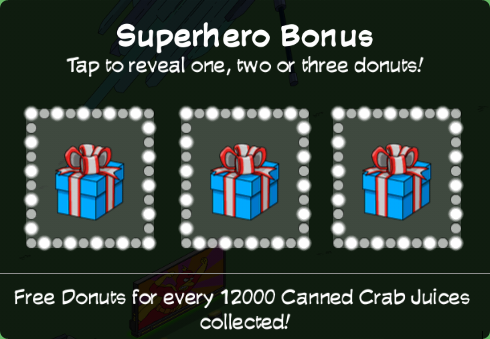 Dr. Crab: I shall use it as my cover in ze Kwik-Ze-Mart to get ze final parts zhat I need. Dr. Crab: Just need one cheap phone charger, an electric toothbrush, and a bag of ze Cheesie Chippos. Dr. Crab: Ze cheesies are for me, zhey are so tasty. Apu: Hey! Where are you going with my stuff, crab person! Dr. Crab: Oh me? I am not taking ze stuff, I am mascot here to cheer you on! Apu: Ooo, Kwik-E-Mart Corp’s very own mascot! Apu: Wait, is this going to cost me? Dr. Crab: All I ask is one cheap phone charger, an electric toothbrush, and a bag of ze Cheesie Chippos. Apu: Oh how fun! What was your name Mr. Mascot? Dr. Crab: My name iz Dr. Crab. Apu: What a fantastically fun mascot name. May I ask, is there a Nurse Crayfish? Dr. Crab: Hmm, it seems as zough people really like having a crab person valking around. Dr. Crab: Maybe I should stay as ze crab and not become ze human again. Human is zo boring. 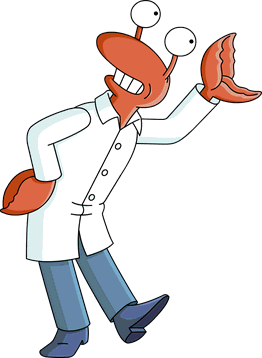 Dr. Crab: As Dr. Crab I can live my life plotting vays to kill Radioactive Man. Does Lenny’s lab have a job for Lenny or anything? Any animation?